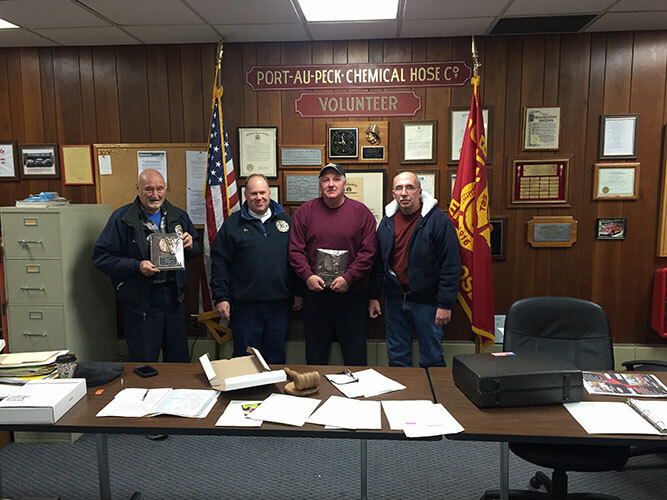 As Port-Au-Peck Chemical Hose celebrates it's One Hundredth Anniversary, the kick-off party helped us celebrate our volunteers dedication. 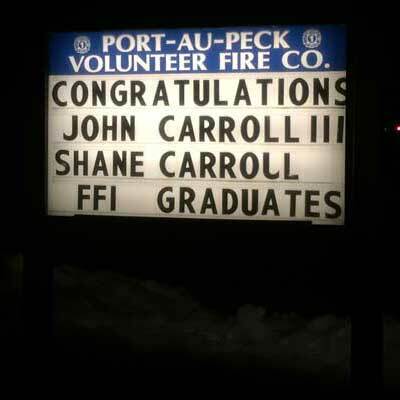 Congratulate John Carroll III and Shane Carroll on passing Fire Fighter 1, equal to 140 hours of Fire Fighter Training. Their training included classroom theory as well as skill oriented "hands on" drill sessions. Fire Fighter 1 meets the performance objectives of the N.F.P.A. standard 1001 and N.J.A.C. 5:73 4.3 standard which will allow a firefighter to perform firefighting under direct supervision. Their graduation was be held on January 28th. This Memorial Day, we celebrated our past, present, and future heros. They are the ones who keep us safe and teach us what it means to be an American. Thank you all! 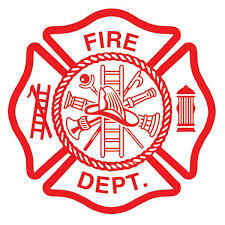 Heart attacks are the largest single killer of firefighters. For that very reason, Captain Buscio has created the program, A Gift from Captain Buscio. 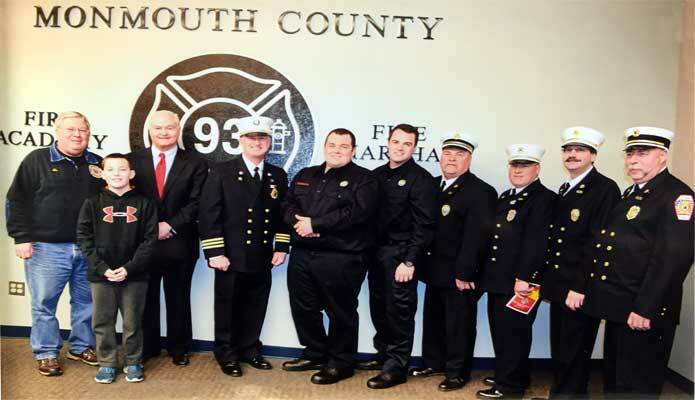 They offer strictly confidential, comprehensive cardiovascular and pulmonary evaluations with no out-of-pocket cost to ALL firefighters, police officers, and emergency responders. Your medical insurance will be accessed, but you will have no copay, deductible or balance billing. For more information, please contact Michelle Noller: 1-800 555-1990 option 4. Learn more about how you can stay healthy! The Oceanport Fire Department, Police Department, and First Aid brought vehicles to Wolf Hill. Students expored trucks, cars, and tested equipment. Then, they participated in a Q & A session. 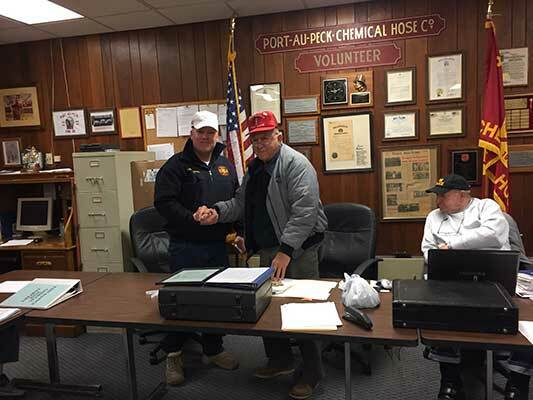 Buddy Brocklebank and Bill McNish receive the Albert C. Weigel Award, presented to the individual responding to the most calls and who best exemplifies the devotion and untiring efforts that are Al's trademark, thus making him Port-Au-Peck's Firefighter of the Year. This year's annual Santa Claus Christmas Visit, OPCH delivered toys to the Children of Port-au-Peck. At our December meeting, outgoing President Al DeSantis turns over the gavel to Kenny Carroll. 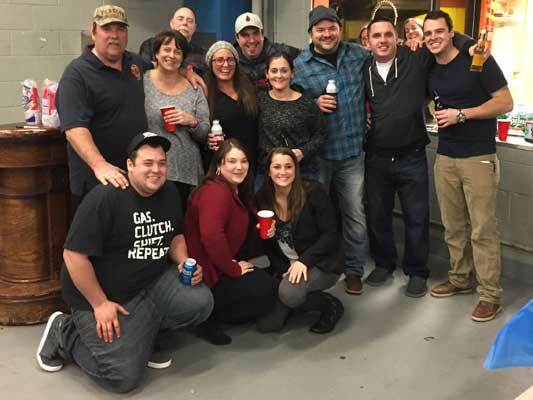 Old Timers Night Celebrates Buddy Brocklebank and his Fifty Years of Continuous Service- October, 2014. Captain Kenny T. Carroll asked Jimmy from KME to conduct a refresher on the truck at PAP in April, 2014. The refresner ended with a smoke alarm call on Iriquois. Water Rescue Drill conducted today. Over fifty firefighters and EMS from 7 agencies participated. Demonstrations and exercises were conducted near the Oceanport Bridge.